Everyone keeps asking, "how can SHIELD be better?" This speaks a lot of the devoted viewership SHIELD has, even with early episodes receiving fairly mixed reviews. People want this show to be great, and it has the elements it needs to be amazing - it just needs a little push to get there. First off, to be clear, when I say everyone is asking about SHIELD, I mean everyone. It's funny too, because SHIELD started fairly optimistically: people liked the clever little touches, and they wanted to know more. And... and then what? People were left with the expectation that there'd be something more. Producers are promising, more is coming, and if ratings are any indication, SHIELD isn't in danger just yet, so time will tell. Seriously. I've been watching this show a lot lately and I can't help but notice that this is everything SHIELD wants to be. Ragtag band of misfits? Check. Top secret and megapowerful government agency? Check. Still struggling despite government backing? Check. Cool gadgets and superscience? Check. Superpowers? Check. Mysteriously not-dead experienced leader with a checkered past? Check and mate. Torchwood also had a rough patch for a while, but the episodes that are good are freaking fantastic - especially those dealing with Dead Owen and the Children of Earth. What makes Torchwood work is simple: they have the backing of the British government, but because the stuff they deal with is so far off the books, they never get the proper funding or acknowledgement you'd expect. They still have amazing gadgets, but they don't have completely infinite resources. And the non-static cast of characters are full of flaws. With the possible exception of Ianto, every single member of the team is extremely screwed up. Maybe the lust for someone else while loving their husband, or pine for the perfect love who can never be, or maybe they are borderline sociopaths - either way, they are forced to work together to save the world. Most importantly, from episode one it's established that anyone can die at any time. Those are real stakes (even when death isn't always permanent). This show was promoted as Joss Whedon's triumphant return to TV after he conquered the international box office. He even directed the first episode. Then he continued to... uh, produce. Whedon's shows have a reputation. They will have a group of underdogs facing insurmountable odds while spouting pithy but quotable quips even as your favorite character dies only to have the show cancelled just as it was getting really good. Why does Joss Whedon always kill the characters we love? 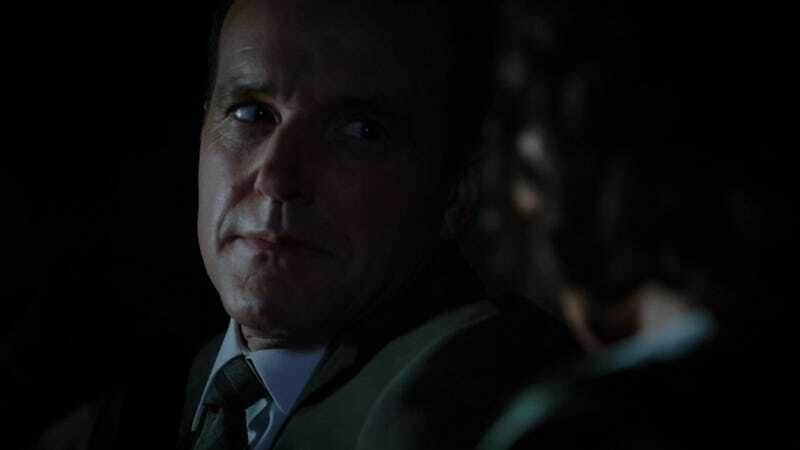 We have hints of this, especially with my favorite SHIELD agent(s), Fitz-Simmons, but beyond a few good moments with May or Coulson, there isn't much that could be considered Whedonesque. Liven it up! Hell, kill one of my favorite characters if you have to (but not both of them! ), just keep it fresh. This is what fans, casual viewers, commentators, and - I'm gunna go out on a limb here and assume - the show's writers have been asking for since the beginning. Okay, we know Marvel is trying to keep most of its potential properties for the movies - I mean who knew a one-time minor Marvel villain would be the mastermind behind all three Iron Man films? Or heck, who could've predicted that Jessica Jones, a character no non-comic reader had heard of before, would be getting her own Netflix series? That said, Marvel has - quite literally - thousands of characters. So why not dip a little deeper into the barrel? Inhumans, Atlanteans and Wakandans off the list? Fine. How about Changelings, the Bird People or Costa Verde? If you can't use Captain America, throw in Captain Wonder. If you want a Hulk-like threat, then use any of Marvel's hundreds of monster characters. What about focusing on SHIELD tech? In the comics SHIELD has methods for dealing with superpowered threats. One of the most ubiquitous, if not the most effective, are the Mandroids. These are high-tech powersuits designed by Tony Stark but nowhere near the level of Iron Man. For TV's iteration, I'd imagine Starktech versions of Elysium gear. For that matter, why not have a superpowered member on the team? Mike Peterson seems like a fine addition - if he stays - but even without him, there are options. Make a new character with Marvel-connected powers, or take an obscure character and make her a SHIELD agent. There is no end to the number of things that could liven up SHIELD. The show is good, ABC, now make it great.